The Revolution are coming off a 2-0 loss to Columbus in their home opener last Saturday. Another season, another slow start for the Revolution, who once again have found winning in March a challenge. 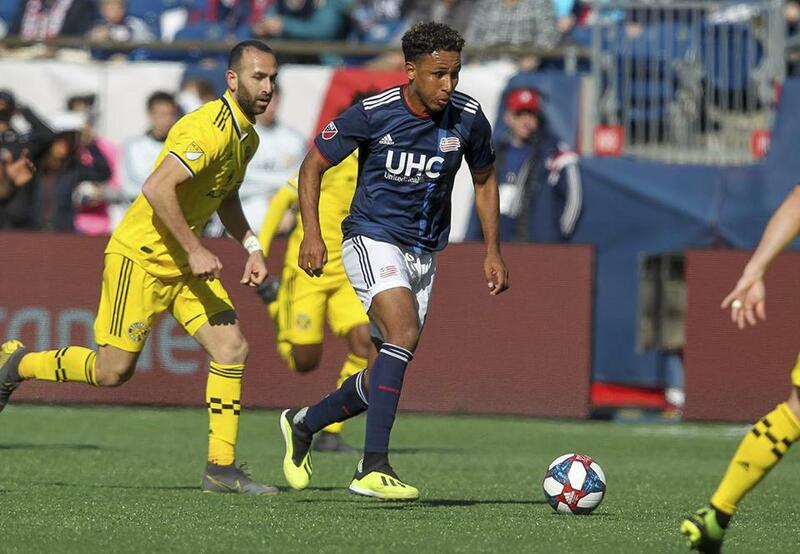 After two lackluster performances to open the season, the Revolution (0-1-1) hit the road again looking to notch one in the win column at Toronto Sunday night. BMO Field has not been kind to the Revolution in recent years; they have lost three straight at Toronto, all by wide margins. ■ What’s in the box? New England has generated a bevy of chances this season, scoring on one of the few times they committed several players into the 18-yard box. Against Columbus last Saturday, these runs just weren’t happening. While the service was there from the Revolution wingers and fullbacks, no one was on the end of any crosses. It was the downfall of Philadelphia in a 3-1 loss to Toronto March 2. Two goals and a penalty Toronto missed came on sequences when the Union’s back line had pushed well into the box and even below the penalty spot. Toronto’s tactical alignment allows it to flood the middle and easily outnumber a back four that has been pushed too deep. The Revolution need to hold their line high, play the offside trap, and limit the creativity of Toronto’s midfielders in the attacking third. In a new formation with a relatively young team, Toronto veteran Michael Bradley has taken on more of a catalyst role this year. Toronto’s 3-4-3 look allows Bradley to play more centrally and advance further upfield as more of an attacking presence. It worked out in Game 1, so the Revolution will need to mark Bradley throughout the game using either a center back or defensive midfielder to keep him at bay. Defensive midfielder Luis Caicedo is expected to make his season debut Sunday and could be just the man for the job. ■ When, where: Sunday, 7:30 p.m., at BMO Field, Toronto. ■ TV, radio: NBCSB, WBZ-FM (98.5). ■ Formations: Revolution — 4-2-3-1; Toronto — 3-5-2. ■ Goalkeepers: Revolution — Brad Knighton or Cody Cropper; Toront0 — Alex Bono. ■ Coaches: Revolution — Brad Friedel; Toronto — Greg Vanney. ■ Out: Revolution — D Andrew Farrell (eye), M Zachary Herivaux (international duty), F Juan Fernando Caicedo (muscular); Toronto — D Eriq Zavaleta (shins), F Jozy Altidore (knee). ■ Miscellany: The Revolution have lost their last three games in Toronto by a combined score of 10-2 . . . Since 2010, New England has scored just 29 goals in 32 games played in March, posting a 9-14-9 record.